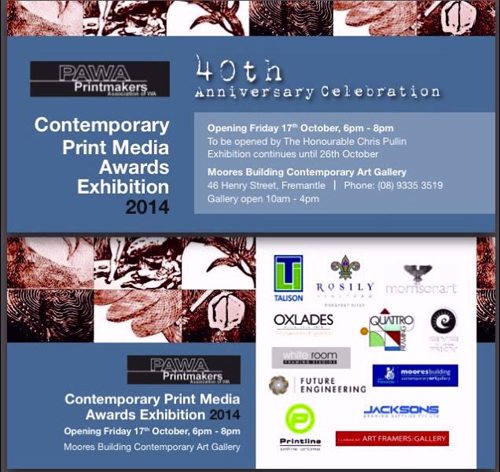 The Western Australian Printmakers Association is holding their awards exhibition at the Fremantle Moores Building Art Centre in Henry Street. It will open tonight at 6-8 pm. One of my favourite Freo printmakers Junko Kitamura is taking part in it and her work alone will be well worth a visit to the Moores. Of course a visit to the show should be combined with a nice breakfast or lunch at the Moore&Moore cafe that is open every day from 7 am to 4 pm.